Here's a ukulele review that has been intriguing (and, if I'm honest, worrying me) for quite a while. From that esteemed old brand of musical instruments. It's the Martin 0X Uke Bamboo Soprano Ukulele... Hold on to your hats folks. So why all the fuss? Well the 0X series ukuleles from Martin have actually been around for quite some years now, and in that time if there is one series that has put the cat amongst the pigeons, it's this one. There has been division amongst Martin owners, fallouts and a whole lot of information about them of very mixed accuracy too... And then Martin expanded the range with this 'Bamboo' version in 2016... 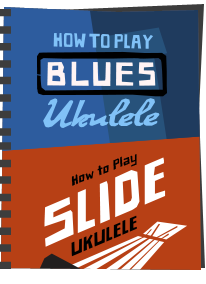 I will come on to the details in a moment, but let me just say that this has been one of the hardest ukulele reviews to write I've ever done... It's also going to be lengthy but there are a number of misconceptions about these I wanted to address to give it proper balance. So what about the 'Bamboo' element? Isn't that wood? Well here comes another misconception. That is not actually bamboo either... It's a photograph. A graphic. An image of bamboo that is applied to the outer face to make it look like something it isn't. And there's my first gripe as every single product description, including that on the Martin site lead you to believe that this is something that it isn't. There are just too many references to bamboo that make you think that it contains some when it actually doesn't. It's made of laminated paper with an outer image of wood. To be fair, there is nothing new there either I guess. The first OX ukuleles did exactly the same thing in 2010 but the outer image wasn't bamboo rather it was another wood grain image (Koa). More on my thoughts on that later though. OK, back to basics.. This one is a double bout soprano made in Mexico and looking very like a Martin S1 ukulele in shape and dimensions. 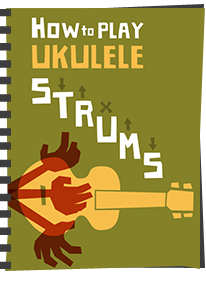 The OX bamboo ukuleles are available in four colours, either minty green, pale blue like this one, natural or red. They also do a more expensive 0XK version in which the outer pattern is Hawaiian Koa, but for this review we are looking at the bamboo models. I will come on to my views on the colours later, as I have mixed opinions on them, but for reasons you might not expect. Anyway, that bamboo graphic DOES look like actual bamboo. I can see why people think it's a veneer. And that HPL material is extremely strong and hard, and it must be said, put together extremely well by Martin. It's very typical of Martin construction and quality control regardless of what it's made of. Very clean, very precise and feels very solid and stable in the hands. It's also said to be resilient to humidity and temperature changes, so potentially this is a rugged instrument (though as you'll see because there IS some wood in other parts of the instrument, the possibility of it being waterproof is gone). Anyway, despite this not being made from wood in the body, the instrument still oozes high levels of quality all over its construction. It really is very well done. We have minimal decoration apart from some black edging to the top and back and a simple soundhole rosette transfer. Incidentally, that black edging isn't binding at all, rather that's the natural colour of the HPL in cross section. The edges are also chamfered off giving it a nice feel with no sharp edges, and I really like that. The soundhole rosette whilst white like the S1 doesn't look anywhere near as stark against the pale blue. I kind of like it. In fact I like most things about the body. You know it's not wood when you touch it but it has a kind of matte coating so it doesnt feel synthetic either. The top back and sides are each made from single pieces of HPL and the back is very slightly arched. The depth of the body is identical to the Martin S1 too. Incidentally - the thickness of the top is noticeably thinner than the wooden top on the Martin S1. I assume that because of the strength of HPL it can afford to be. The bridge is an 'as expected' Martin style slotted bridge. The store this came from lists this as rosewood, but the Martin site explains that they have now switched these to Sipo wood. That's an African hardwood sometimes called Utile or Sipo Mahogany. Sipo actually looks rather nice and is presumably a response from Martin since the tightened CITES regulations of early 2017 made it extremely difficult to ship rosewoods around the globe. 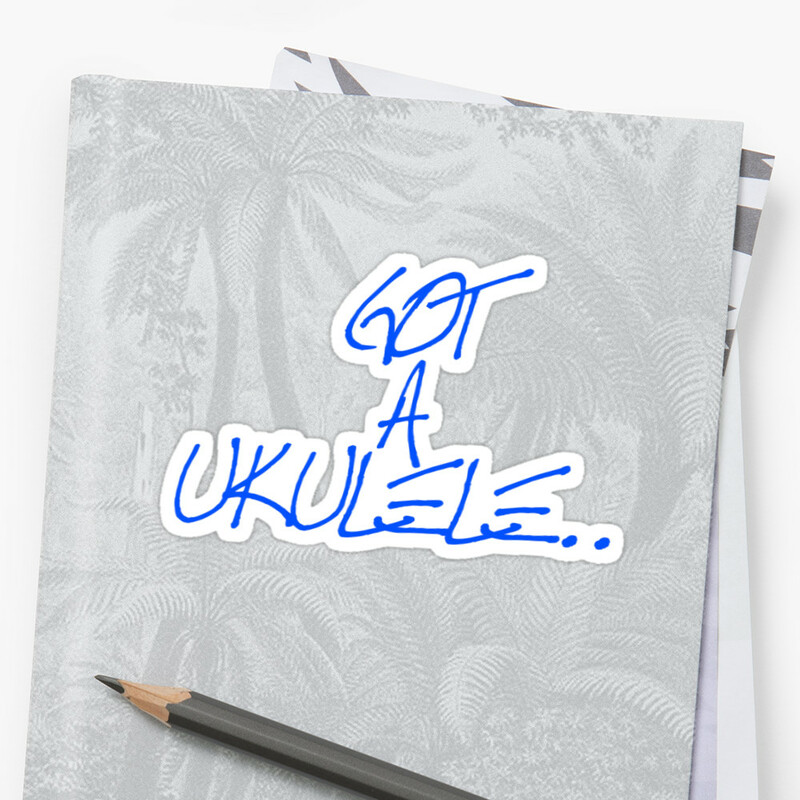 Maybe we will be seeing a lot more Sipo on ukuleles going forward. I suspect this one is 2016 stock so if you buy from last years vintage you get Rosewood, this year onwards you get Sipo. Understandable. The saddle is compensated and made from white Tusq - a synthetic ivory substitute. The whole thing is much nicer in finish than the bridge on the S1 soprano I reviewed too - just cleaner all round but identical in dimensions. It's interesting to look inside and see the use of spruce bracing in the instrument. I would have thought that if HPL was as strong as they claim that they would need minimal or no bracing, but there you are. Whilst I found it impossible to check inside fully I am told that Martin have used their trademark bracing pattern on these, so I assume the braces are to create the 'voice' they wanted. There is a tail block in there too so there should be no issue in attaching a strap button. We also have notched spruce kerfing around the top and back joints. So it seems that the only thing that differ in this from a wooden uke is the material used to make the top, back and sides. Aside from that we have the numbered makers label and you get to see more of the natural colour of the HPL which is a very dark grey and pretty bland. It too seems to have something of a bamboo image applied to it but in dark grey. You can see why it needs an outer image that's more interesting! Up to the neck and things continue to be somewhat unconventional. It's attached to the body with a secure dovetail joint which is normal for Martin, but that's about the only thing that is normal. It's made from several strips of birch ply running the full length of the neck in a laminate sandwich. It's claimed that it gives the instrument an extremely strong neck that is impossible to warp and gives it a very stripy look. Martin call it 'Stratabond' and it's been used by them on some guitars for quite some time. Profile wise it's identical to the Martin S1 ukulele neck, but that stripe will be an either love it or hate it look. It's finished in a nice rubbed satin coat which is very comfortable and never 'grippy'. I also read some commenters suggesting it is heavy, but I can't say I notice that myself. I'll stick my head out here and say, I actually really like the look of it... For those interested, the width at the nut seems identical to the Martin S1 at 36mm so that gets a thumbs up from me too. Topping this is a fingerboard made of rosewood, (though again for 2017 models this will be replaced with Sipo) with 17 nickel silver frets with 12 to the body. It's the same sort of fingerboard layout as on the S1 with the same end shaping. We have position markers at the 5th, 7th and 12th spaces with the 7th being a double spot. They are made from small cream plastic dots. Like the S1 they are repeated on the side where you also get a couple of extras at the 3rd, 12th and 15th. The ends of the frets on this are dressed far better than those on the Martin S1 I reviewed also. In fact the fingerboard on this is flawless. Beyond the Tusq nut we have the traditionally shaped Martin headstock with a three pointed crown. It's faced in the same blue bamboo HPL but the Martin logo on these doesn't use the gaudy Chistmas card sticker, rather a black ink print - much nicer. I like the taper on these headstocks as it gives you plenty of room to fret first position chords without your hand bumping the nut or the tuners. I also like the contrast between the blue HPL and the pale neck and once again you get a black edging from the cross section of the HPL. And completing the package are a set of Martin M600 fluorocarbon strings and the same blue padded gig bag that comes with the S1. I know I suggested with the S1 that they should ditch the bag as most buyers would get a hard case anyway, but that was a solid wood instrument in need of protection. With this one I totally undertand the addition and it's nice to see. And for that you are looking at a retail price of $449. Gasp indeed! Thankfully these seem to be at retailers at more like $299 these days or about £350 - £380 in the UK, but I still gasped at the street price (followed by my usual groan that the UK always seem to pay inflated prices). Bear in mind that retail price is only about £50 less than the all solid wood Martin S1..
Before we get into the ins and out of the concept and price, let's first see how it plays. As I say, construction is wonderful and the instrument is light in the hands and balanced at the 12th despite those reports of heavy necks. It isn't off balance at all. It's a touch heavier than the wooden S1 ukulele but when you are playing it you don't notice it, and the S1 is a supremely light instrument anyway. And here's a weird thing... It smells like a Martin ukulele. That smell of woodshop that is always so strong with Martins is in there. It can only be coming from the braces and linings as the rest is HPL! Very odd! Setup was is absolutely perfect on this one at both nut and saddle. In fact taking a measurement it's exactly the same action height at the 12th as on my Martin S1. And then I started to play it.... Wow. 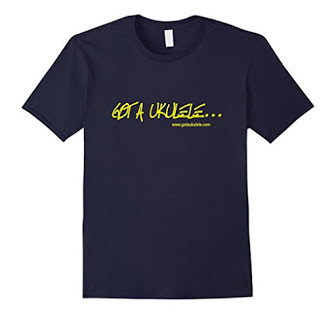 It's quite remarkable really for a synthetic ukulele. I do not know how they did it, but this instrument sounds startlingly good. Excellent in fact. And guess what? It sounds like wood too. If you were expecting boxy plastic lunchbox type tone, that's just not there. OK it doesn't quite have that Martin jangle but it has a really rich rounded tone of it's own, with plenty of soprano bite when needed. Volume is great as is sustain (on a par with the S1 on both counts) and is right up there with some of the better ukuleles I have reviewed. Sound is subjective of course, so I wouldn't say it is 'better' than 'this' or 'that' ukulele - only that it is still very good in it's own right. VERY good. It really did surprise me. Whether strummed or picked it's a real joy to play. It's easy to play too with fast comfortable neck, light weight and skinny frets. It's also dead accurate on the intonation all over the neck. A typical 'plastic' uke this is not. The dynamic range is excellent, the note clarity is great. In fact, I am struggling to find bad things in the sound. I suppose my only gripe is that I like my sopranos a touch brighter, and this can sound a little dark and a bit too warm, but I'm being really picky when I say that. But of course, you are not going to get individual tonewood characteristics when there is no tonewood! I suppose in the same respect, there will be no aging or opening up of the HPL over time. It will always sound like this. To help you listen to it (as YouTube compression can ruin tone in videos) there are a couple of Soundcloud clips at the foot of this review - the same chord progression on the 0X and on the S1 so you can listen to them side by side. I think there is a distinct difference - both nice sounding in their own right. The S1 is clearly brighter in tone though. So what's troubling me? Well there are a few things in my mind that I can't quite shift or square up. Firstly, when it comes to the choice of materials I'm really in two minds here. Perhaps the reduction in the use of wood should actually be applauded as an eco friendly innovation. Pressure on global natural resources are a real problem these days, and the introduction of the tightened CITES regulations shows that countries are waking up to that fact. Who knows, perhaps in the future we will see that the majority of ukuleles are made from non-wood substitutes like this due to ever increasing restrictions on the shipping of timber. If that's the case, perhaps Martin are ahead of the curve here in the way that Blackbird have shown with their marvellous Clara ukulele. However... if that is going to be the case then why not go completely wood free? Why the use of Rosewood / Sipo wood instead of Richlite? Why not a composite non-wood neck instead of birch? I feel that I would 'buy into' the concept more if Martin had been bolder and offered a totally eco friendly model like Blackbird did. As it is, it's neither one nor the other really. They just took the wood out of the body. And I have a similar gripe with the outer wood graphic. I've nothing against ukuleles that are not made from wood. In fact the current boom in popularity of plastic models is actually nothing new and original plastic ukes like Macaferri Islanders are much sought after collectors items now. So why did they apply a graphic to the outer that looks like wood? Why not accept it for what it is and use the opportunity to put something completely unique on the outside? It's not wood, so why try to make it look like it is? As I undertand it, that outer graphic could be anything at all, so why not be creative? Pete Mai of Bonanza ukuleles makes instruments out of the same stuff and chooses dazzling non-wood patterns on his, and they look great! Heck, even flat colour would be an option and I can't be the only one who would like the idea of a jet black Martin uke? Yet the product descriptions seem to suggest that Martin is almost 'ashamed' that it's not wood and are going out of their way to make you feel that it is. I personally find that very odd. The Clara for example makes no such claims - it's not wood and doesn't try to look like wood either. Why not do the same here? And of course we have to talk about that price. Sure, it IS expensive for what it is I suppose, but then Martin ukes full stop are a bit expensive for what they are in my view. On the one hand I think that the assumption that a 'laminate' instrument should automatically be cheap is more borne out of market expectation and conditioning that 'laminates must be cheaper than solid woods'. However, something like the Clara which is totally synthetic will cost you significantly more than this. Something like the Kiwaya KS5 which is all laminate wood is in the same ballpark at about £300. So pitched against quality instruments like those perhaps it's actually a reasonable price for a highly rated brand with such excellent construction? Unfortunately, I think market expectation IS important and I think a lot of people (not all) will struggle to part with this sort of money for a synthetic ukulele when for only a touch more they can get an all solid mahogany Martin. Flipping my opinion back 180 degrees (again! ), bear in mind that the bill of materials cost in a ukulele is not necessarily the biggest part of the price, labour comes into it hugely. So if you ignore that this is HPL and simply take it for what it is - a very well made and great sounding instrument, perhaps the price is just right. In other words, what does it matter what it is made of? So as I said, a really difficult one to write this, and I am still not sure I have come to a total conclusion. We've got an instrument that sounds truly great and is built extremely well. On the one hand it could be considered innovative and eco friendly, but on the other seems priced wrongly for many people and is trying to hide what it actually is. I can't help feeling that Martin had an opportunity here to be totally innovative and could have gone for something completely 'green', but instead felt compelled to create something of a halfway house. Yet here's another final thought. Would these ukuleles be dividing opinions quite so strongly if they didn't have the Martin name on the headstock? What if Blackbird had released this model, would they be getting plaudits instead? It's something to think about and I suspect a lot of the sniffiness may be a case of the vintage Martin fans making their views known. There are people who simply don't like the wooden Mexican Martins, so it stands to reason they won't like these either I guess. For me personally, I don't care a jot where they are made, only what they play and sound like for the price. So I suspect these will create different reactions with different people. Still, it does sound tremendously good though and I'm actually rather attached to it for what it is. I'd still say 'have a play'. Does it matter what it's made of (or where it's made) if you like the way it sounds? You might actually be surprised. This is the martin for those of us who live in a climate where martin guitars and ukes split near the bridge (go check out the local certified martin luthier). The oxk can be found sometimes for under 200usd. In 2015 elderly here had the oxk for 169usd for a while. I don't play mine that often but when I do I am shocked by how nice the tone sounds. Otherwise I might consider selling it. My oxk was warped a little in front of the bridge when I got it (second hand) but it hasn't effected the excellent intonation from the factory. I *could* slightly lower the action if I wanted for personal preference reasons. So yes IMHO this is an excellent uke, especially if on sale under the 250usd mark. Wow, nice to see a full review on this. I'm one of those that would need a bigger price difference between this and the S1 to consider it. I don't have too much of a problem with the price point (like you say, that's Martin pricing), but when the S1 is just sitting there for only 20% more money, I'd need a good reason to not want a solid wood uke. Having said that, I just looked at a store online and the price difference was $150CDN, so I could see someone not wanting to move up to the S1 for that amount of money. I sort of like the green coloured version ... Nah, you've got me thinking about Kiwaya's now. If they used bamboo paper in their HPL, it would be truer to the name, but I doubt they'd switch production to koa paper HPL for the OXK! Glenn - it's intereting on price. I'd look at it another way though. Perhaps THIS is the right price and it's the Martin S1 that's wrongly priced. i think this is actually nicer sounding (and nicer finished) than the S1. Don't get lulled by the 'solid wood is best' thing! My objection to the price is that Kiwaya can make a similar instrument in Japan, paying high wages, ship it halfway across the world, and end up charging the consumer a similar price to the Martin. Martin makes theirs in Mexico, pays low wages, trucks it north to a distribution center (essentially the same last-mile expenses as Kiwaya) and pockets a great markup. Up against any of the higher class ukes it holds its own. It's the tone I go for; I love my wood, but tone is what Matters & all I care about when my eyes are closed. I really appreciate how you work hard at being fair in your reviews. Regarding eco-friendliness, a question occurs to me: given that paper is (usually) made from wood, and the resin is (probably) made from petroleum, what might be the bottom line ecologically of wood vs. HPL? Of course, we are talking about different kinds of wood in each case. It is a puzzlement. That's a very fair point Fred - I am over simplifying it. 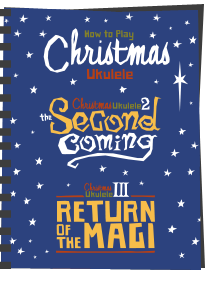 That said - I do think that looking forward we are likely to see more non-wood ukuleles. I guess that is part of my gripe with this one - that they didn't go the whole hog - like Blackbird did. 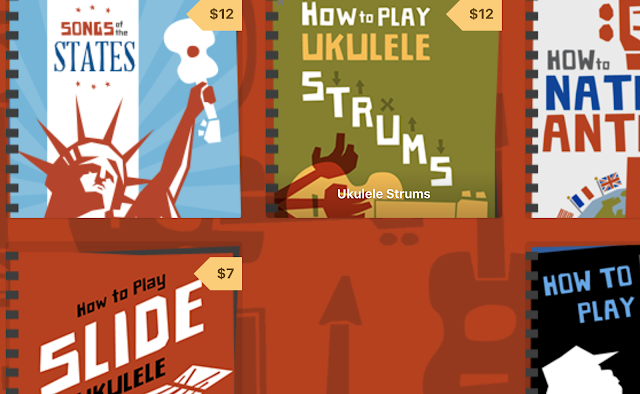 I love the sound of Martin ukuleles: they are doing something right. Out of curiosity last year I got an 0XK (regular, not "bamboo") and was very impressed from the start: this was perfect for $200 spent. I think color, ultimately, is less of a priority (although we all enjoy nice-looking instruments), but the sound and durability of this one is unsurpassed. Still, later on I was curious enough to upgrade to S1. Tone-wise, of course, S1 is more superior, but at the me time it is much more prone to humidity, requires a better hardshell case and more gentle handling. The fact that the factory is in Mexico doesn't bother me at all. Thanks Baz. Well stated in your review. Very thorough. I had the OXK and never bonded with it. I thought the neck was very heavy. I am not a fan of these "blah" colors though here. They should have gone much bolder! Great review! Your review really nails down my own findings with my recently acquired OX Bamboo. I knew from watching and listening to the earliest available videos that this HPL offering was somehow different than that of the OXK that I also had owned. This somehow is lighter in weight, and a better tone and does so without sacrificing anything in terms of feel or quality. I honestly have been playing my new Martin OX Bamboo exclusively since I received only 2 days ago, which incidentally is the one that had the Style 1 Centennial label erroneously installed in it. I would buy another in an instant, it's that good! I have had an OXK for several years, and like you say, it holds up against any of my other ukes for build quality, playability, and sound. I bought it to take it on business trips where I wanted something durable, but find that I pick it up to play it any time. I love the size, and the case, which I clip to the side of my backpack with carabiners. I've never had any problems carrying it on like that, and only have to unclip it to get it into the overhead on the smallest planes. In addition to a bunch of trips in the US, mine has been to India several times, and just got back from China. I have an S1 with Fremont strings on ...at the moment!! 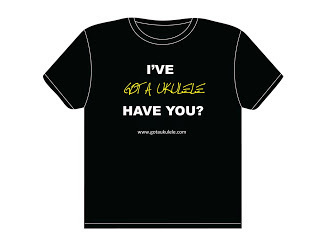 !...a little crisper than Martin strings.....I'll keep with it...as they say ukuleles get better the more you play them......and so do you as well!!! Really interested to read your review of this one. I was loaned one a while back and I loved it, it felt great and it sounded brilliant. I really enjoyed playing it. Thanks Dave - yes, I think it's remarkably good. Thanks for the great review, nice to learn the facts behind the salestalk. I have the same experience with the OX as you describe. It is a very well build instrument and that is what you pay for. The quality of sound is just a matter of taste, not materials. Having said that, I do not fully agree on your sidenote about the eco-friendliness of the alternative materials used. I think it's too easy to say: shouldn't they have done more...? Martin possibly can, maybe not, maybe this is the best choice in their situation. This instrument could be even more eco-friendly than a non-wood instrument, considering their conservative fanbase that is allready getting used to terms like stratobond and HPL, this is perhaps better selling and therefore in quantity a more eco-friendly instrument than a non-wood instrument at this point in time. What I’m trying to say is: what matters (to me) is that they have taken a shot to make more eco-friendly instruments. And as an environmental engineer I have to say that we just have to be happy with every little attempt that is taken. Yes, I guess that is fair enough Rutger - I suppose I am just concious of the Blackbird Clara which shows that a totally non-wood ukulele can be made to a great standard! Martin has been using HPL bodies and Stratabond necks for a while on its mini guitar as played by Ed Sheeran. Yes I know he now has endorsed custom models but he used to play the standard LX1 and it sounds fine. I nearly bought one but in the end got a convention Taylor mini guitar.